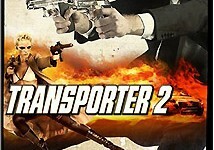 Jason Statham returns in his signature role: ex-Special Forces operative Frank Martin, aka "The Transporter." Now retired in Miami, Martin makes a living driving for a wealthy family, including twin brothers with whom he has unexpectedly bonded. But when the boys are abducted, Martin must use all his skills to bring them to safety and discover the kidnapper's master plan.